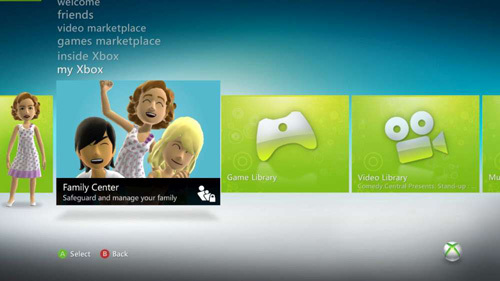 Microsoft plans to launch a revamped version of its dashboard for the Xbox 360 this fall, coinciding with the launch of their Kinect peripheral. Much like they did with the last major update, they are inviting users to test the dashboard before its released to the general public. According to Major Nelson, the Preview Program will give you the chance to check out ESPN on Xbox LIVE, Zune music, Netflix search, the new Xbox LIVE dashboard, and new updates to Zune video and Family Settings on your Xbox 360. Being chosen in this program will not get you a free Kinect unit, it should be noted, but there's still a ton of new features to test out. To join up you need to head on over to Microsoft's Connect Site (not to be confused with Kinect) and enter your information. It should be noted if you get accepted Xbox Live Party Chat and Voice Message will no longer work with members using the old dashboard - this is due to an improved codec being used for higher quality voice chat. This doesn't affect game chat - sadly - so you'll still have to manually mute all those folks in Halo Reach.